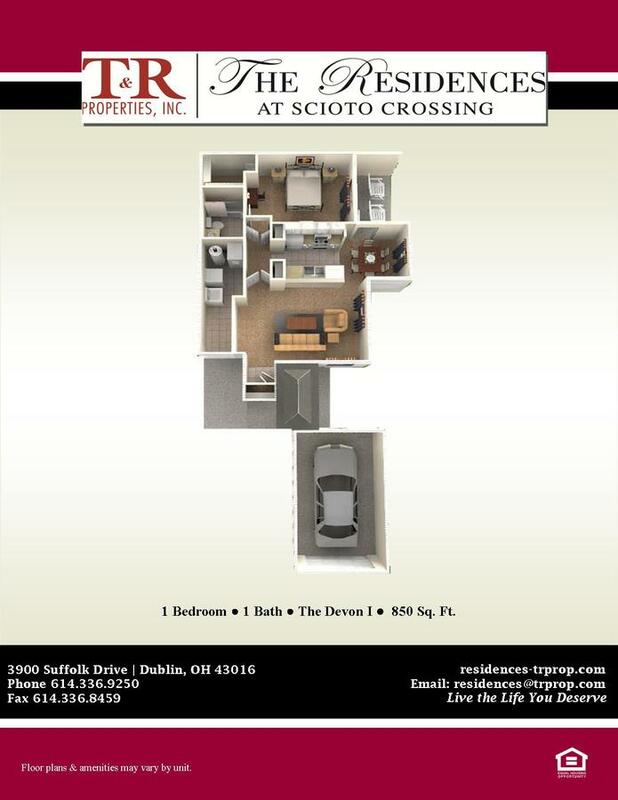 The visually striking brick and natural siding exteriors of The Residences at Scioto Crossing are just a small part of the apartment community’s charm. Residents also enjoy a quaint village atmosphere complete with picturesque ponds, scenic green spaces, and beautiful walking trails while living just minutes from all the amenities that Dublin has to offer. We offer prestigious Dublin schools and an abundance of entertainment and dining options with the Polaris, Tuttle, and the Columbus Zoo just minutes away. Our exquisite, resort style pool, 24 hour fitness center, and onsite car wash are additional features tailored for renters who place a premium on their surroundings. 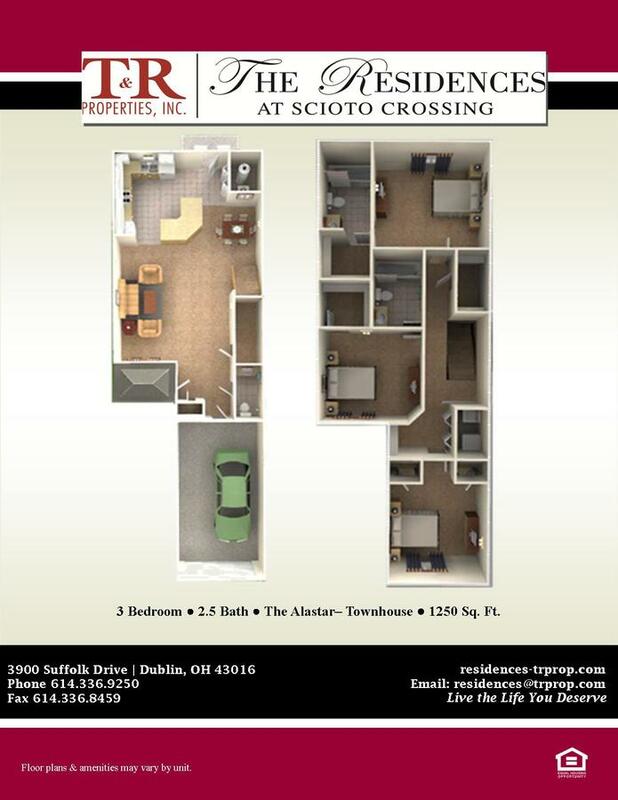 Live the life you deserve at The Residences at Scioto Crossing. 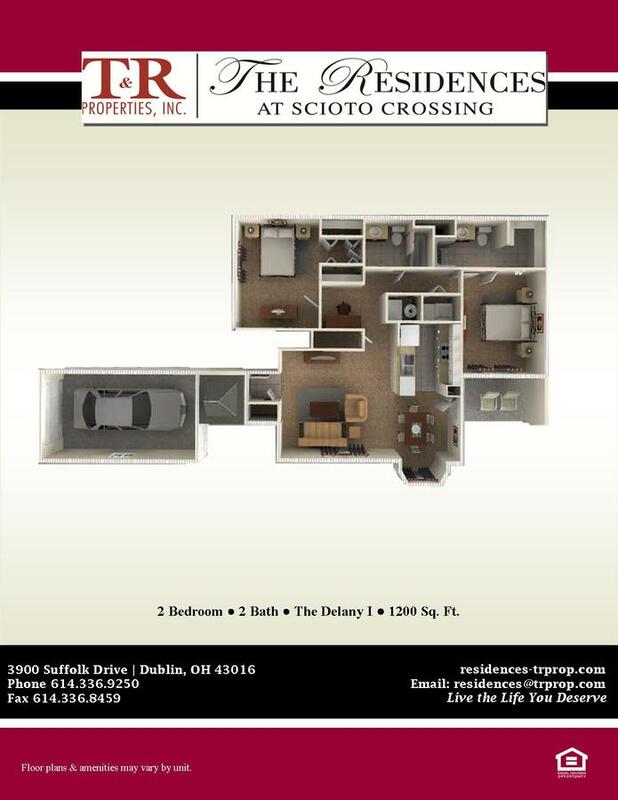 The Residences at Scioto Crossing is located and 9.35 miles from Ohio State University. The property has a Walkscore of 47, so you will probably be driving or taking public transportation most of the time. The Residences at Scioto Crossing has many shops nearby. Coffee shops in the area include Cosi, Panera Bread, Starbucks. There are a number of markets in the area include Whole Foods Market, Trader Joe's, The Andersons.